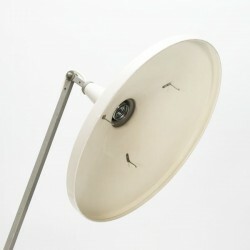 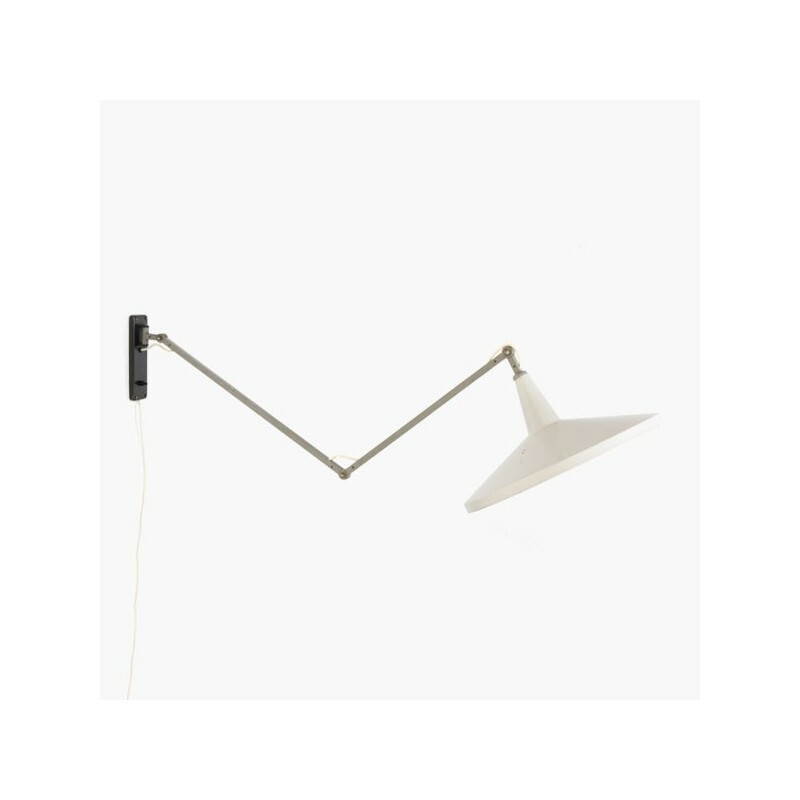 Industrial design wall lamp designed by Wim Rietveld in 1955. 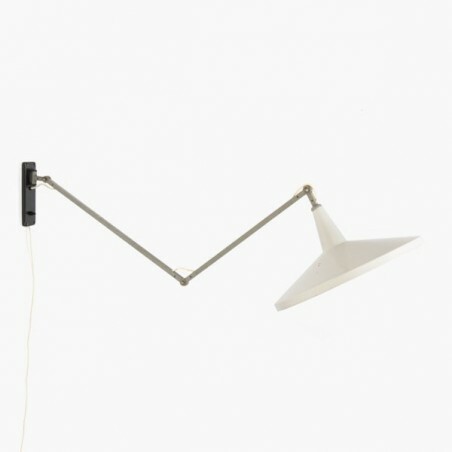 The Panama lamp, Giso 4050, was released at Gispen. 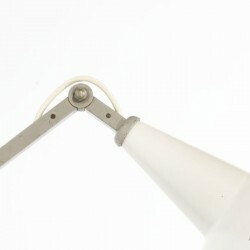 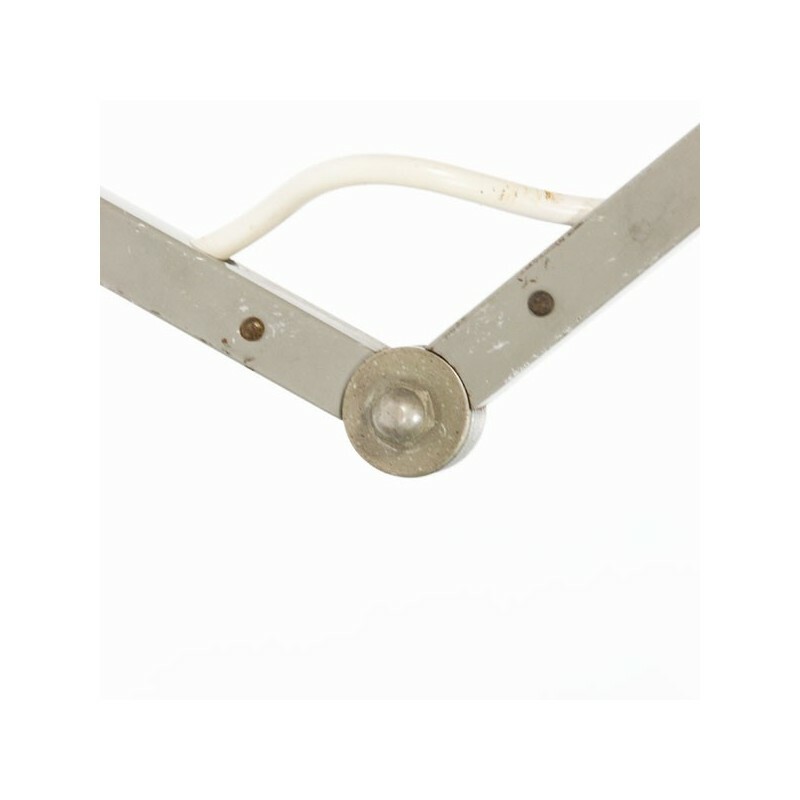 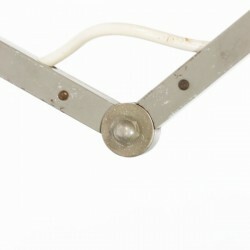 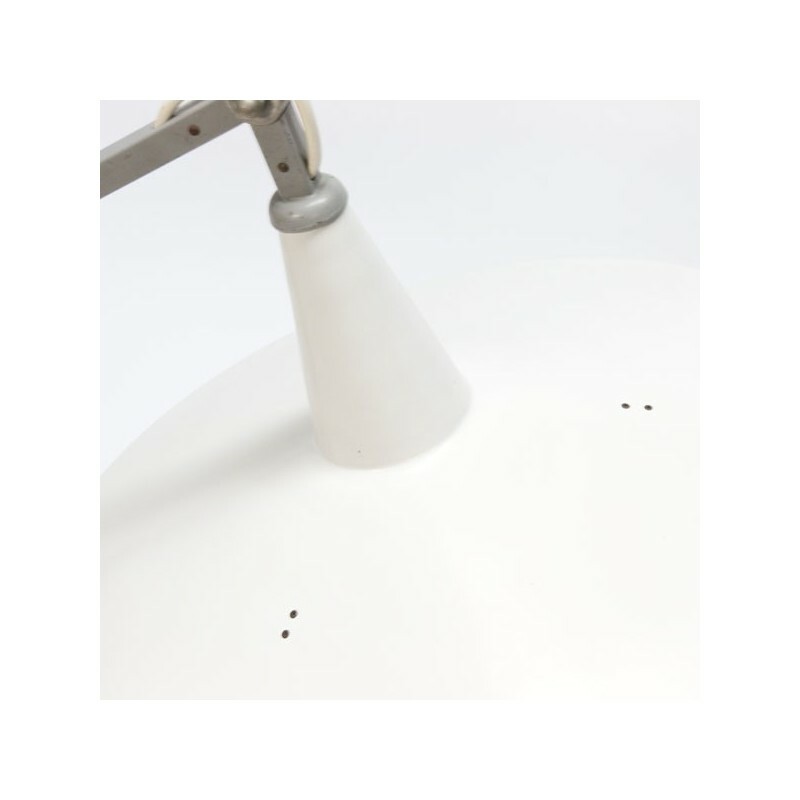 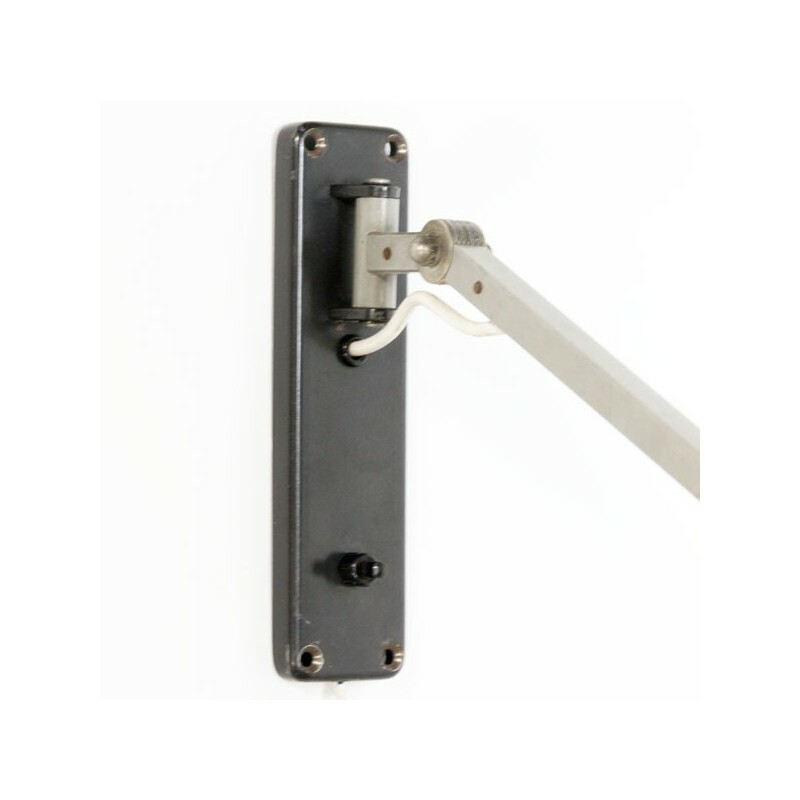 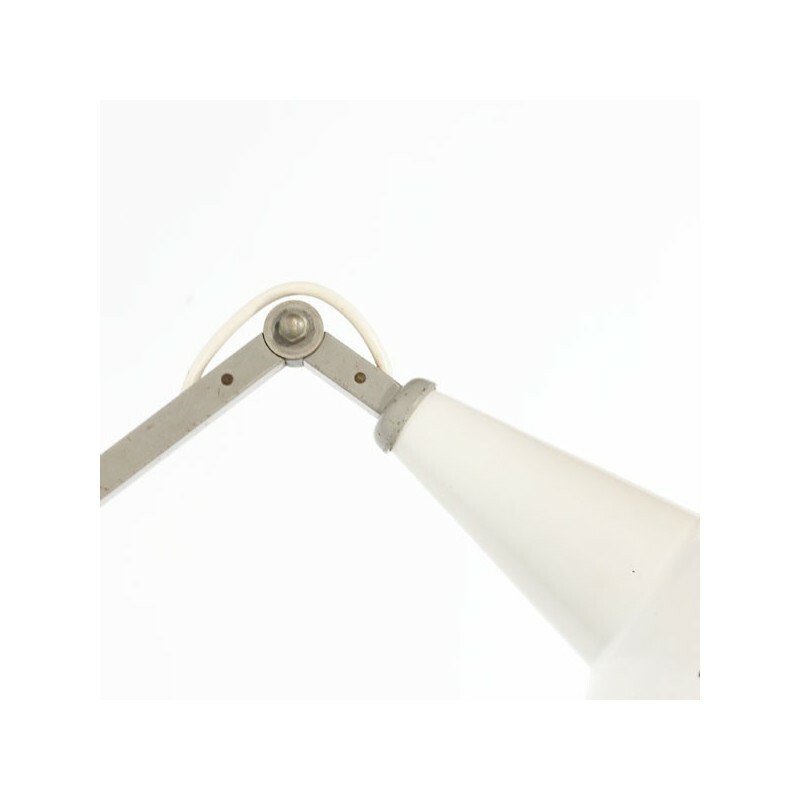 The wall lamp has a white metal cap and a gray arm with which the lamp is adjustable. 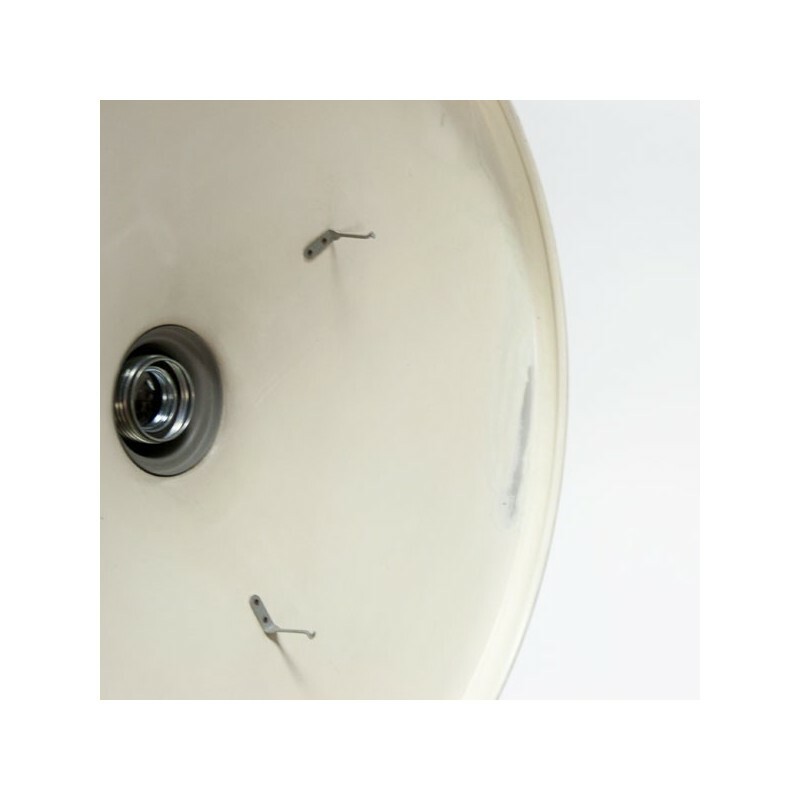 The condition is reasonable given the age, on the inside of the cap is visible damage to the paint, also the original key and fiberglass diffuser are missing. 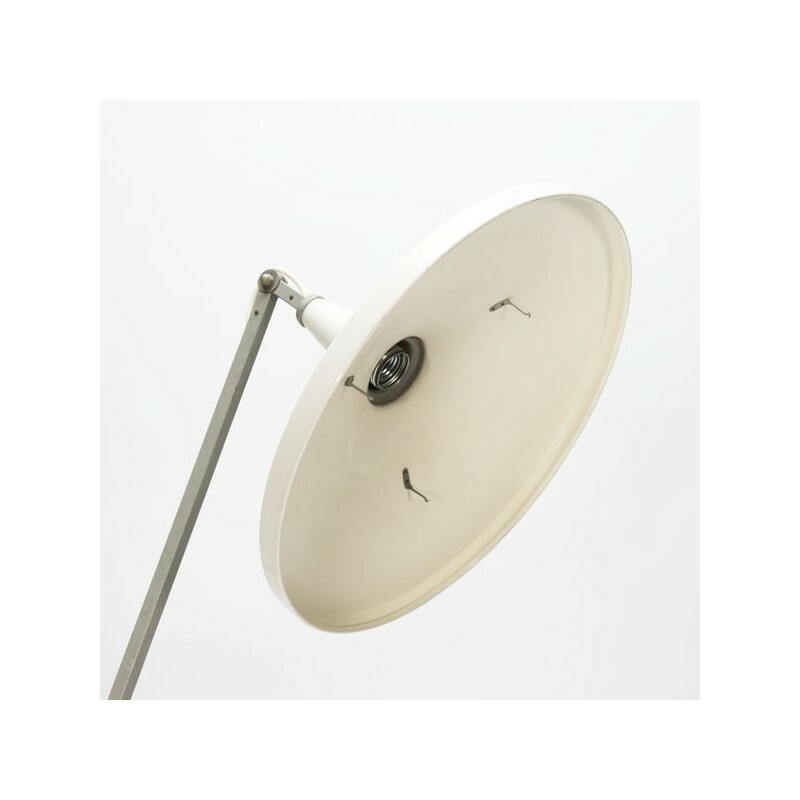 The size of the cap is 40.5 cm in diameter.